It's hard to look professional with a wrinkled tie. Just a few hours of wear or a trip in a suitcase can leave unsightly wrinkles in ties that can detract from an overall professional appearance. 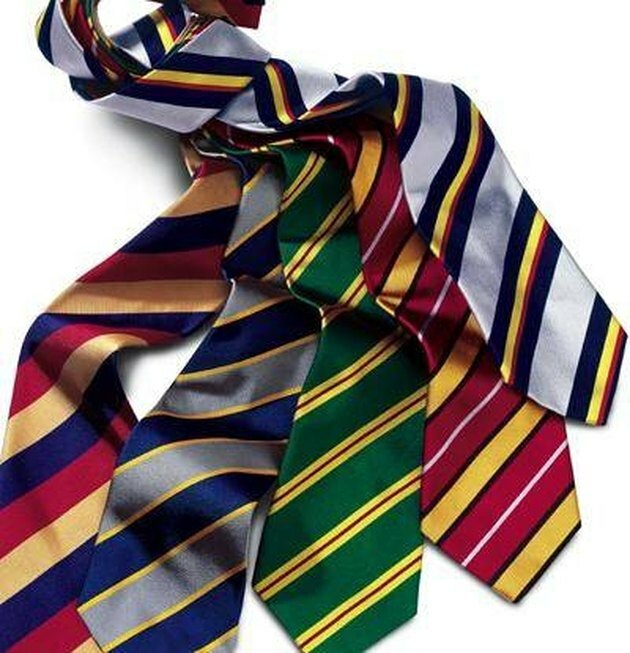 Getting wrinkles out of ties is a simple task that leaves the wearer reaping the benefits of a cleaner appearance. There are several methods for doing this that won't take much in the way of time or effort. Hang the tie on a clothes hanger while you are taking a hot shower. A clothes pin can be used to keep the tie in place. The steam will do all the work for you; just don't get the tie too close to the shower. You don't want the tie to get wet. Place a handkerchief over the tie and set the iron on steam. Hold the iron over the tie. Give the tie as much steam as possible. The tie will become wrinkle-free on its own. Place the tie under the mattress before you go to bed, and it will flatten out overnight. Roll the tie over your hand. Place it somewhere out of the way while still rolled up. In a few hours, the tie will be straight again. Put the tie in the dryer on the lowest setting for about ten minutes with a slightly damp washcloth. This should free it of wrinkles. Some ties can be ironed, but read the care instructions first as it may be damaging to it. Hang ties up when you are not wearing them to prevent wrinkles.